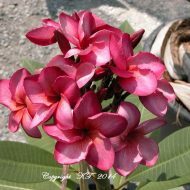 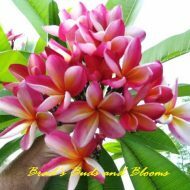 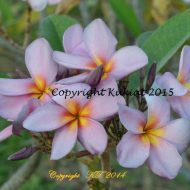 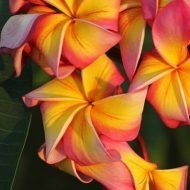 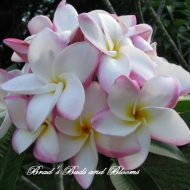 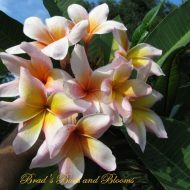 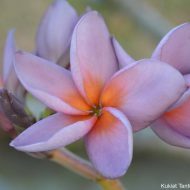 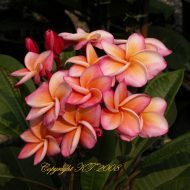 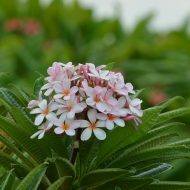 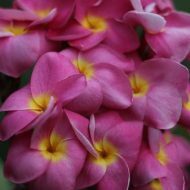 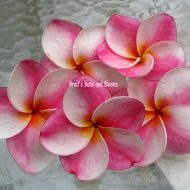 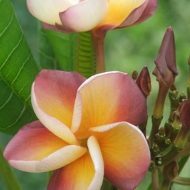 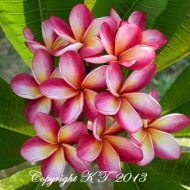 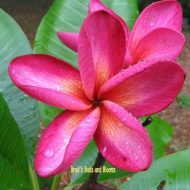 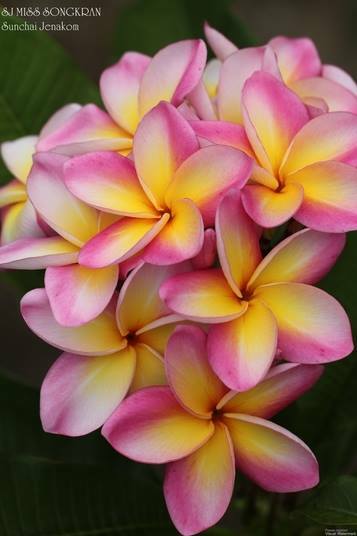 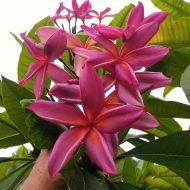 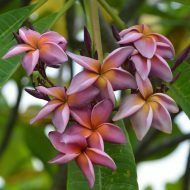 Home	> Shop	> Plumeria	> From Thailand	> Miss Songkran- NEW! 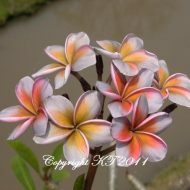 Miss Songkran is an exceptional beauty which produces 3″-3.5″ glowing flowers. 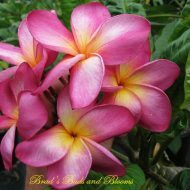 The petals are edged in deep pink and their centers are comprised of an enormous golden center overlaid onto a white background. 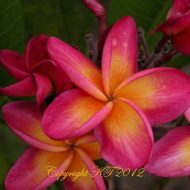 In the very center is a vivid orange eye. 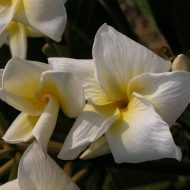 Flowers have a lovely sweet, floral fragrance. 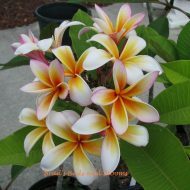 ROOTED cuttings, not grafted. 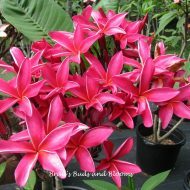 Plants measure 10-11″ tall from the soil line.